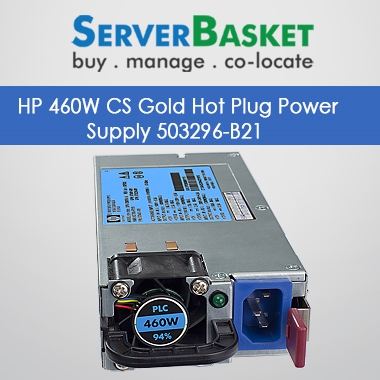 Looking for HP power supply online? You arrived at the right online store. 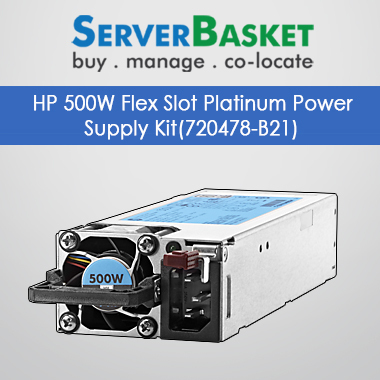 We offer you genuine rack and tower power supply models from HP to power up your huge range of HP servers. Check out our 100+ HP power supplies including 350W, 500W, 850W, 250W, 1200W, and 1000W etc. and choose the best infrastructure powers supply model to your requirement. Order immediately. We present both rack and tower HP power supply to help your servers, networking, and storage to take further. We offer you various power solutions with smarter, stronger and simpler rack and tower models to improve your business, reduce data center operating costs and flexible power options with multiple AC and DC power input voltages. The wide range of power supply models like Common slot power supplies are compatible with HP ProLiant Gen9 DL500 Series, Gen 9 ML110 and ML30 and Flex slot power supplies are compatible with HP ProLiant DL300 Gen9 Series, ML350 Gen9, Apollo 4000, Apollo 2000. We offer highly efficient award-winning HP power Distribution units with rich and versatile features at cost-effective prices. Maximize your business productivity with our next-generation HP rack and tower power supply. Enhance your data center performance and reliability with our power supply offering enhanced cooling, power, and space-saving options. Performance power supplies from HPE offer flexible and effective power solutions to Synergy, Blade System, and Apollo 6000 models. We present enhanced and high-efficiency power supplies from HPE including HPE 550W FIO, best silver certified 80 plus power option and enhanced features at an affordable price. Our power supply list also includes HPE 900W Gold power supply to offer power redundancy in ProLiant servers with 92% efficiency and reduce power wastage and operating costs. These two high-end power supplies are compatible with HP ProLiant Gen 9 and Gen 10 essential servers offering common power supply strategy to reduce your data center cost. We offer HP power supply with 90 days warranty to help you with damages and performance issues. We support you via mail or phone or in-home service to detect the issue and do the needful. In case of any part of product damage, we immediately replace the hardware part and we don’t charge anything extra for the spare part or for customer support service. We offer you instant support the very next business day and try to resolve the issue immediately. Warranty date begins from the date of purchase stated on the invoice and valid up to 90 days. We offer free shipping to any location all over India including Delhi, Mumbai, Hyderabad, Chennai, Pune etc. on time delivery is quite challenging but we do it with ease. We usually delivery within 2-4 business day at customer requested location. We take the whole responsibility of delivering your product safely in your hands.